Precision MicroFab™ was contacted by Dr. Allen Maizes, M.D. 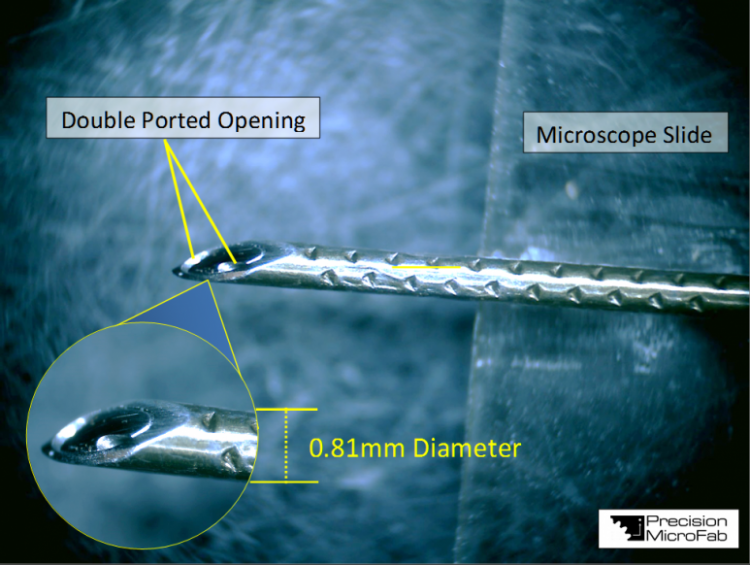 to design and micro-manufacturing a microfluidic nozzle with increase turbulence for better ultrasound visualization of a needle tip location. In collaboration with Dr. Maizes, we fabricated several different prototype models. We experimented until we found the best design for this application. 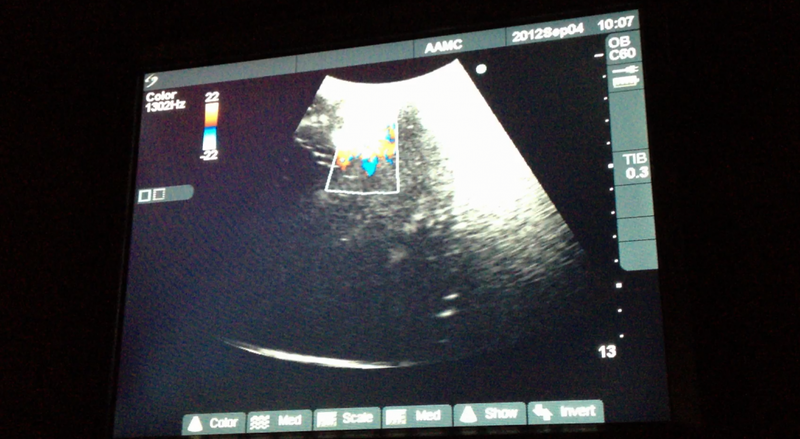 With a much clearer view of needle tip location, the physician can provide safer and more effective anesthesia delivery.